The August 1945 letters ended abruptly when the Japanese surrender was announced, and while I don’t know how long it took for Walt’s group to wrap up and return to the states, it must have required some time, including travel. Maybe on hearing the news, Ruth started packing and planning to return to San Antonio to meet Walt. 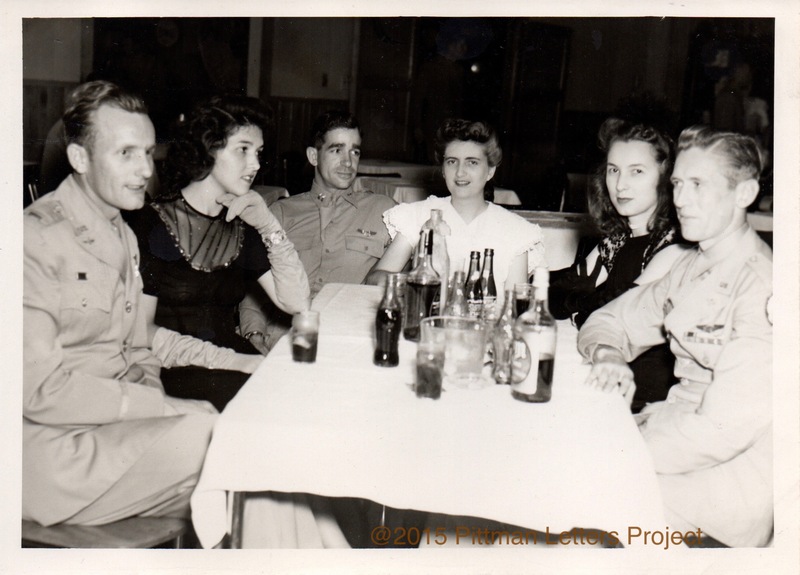 I don’t know when they finally met up, but we know that they remained in San Antonio until at least the end of 1946, as their first child was born there in November. 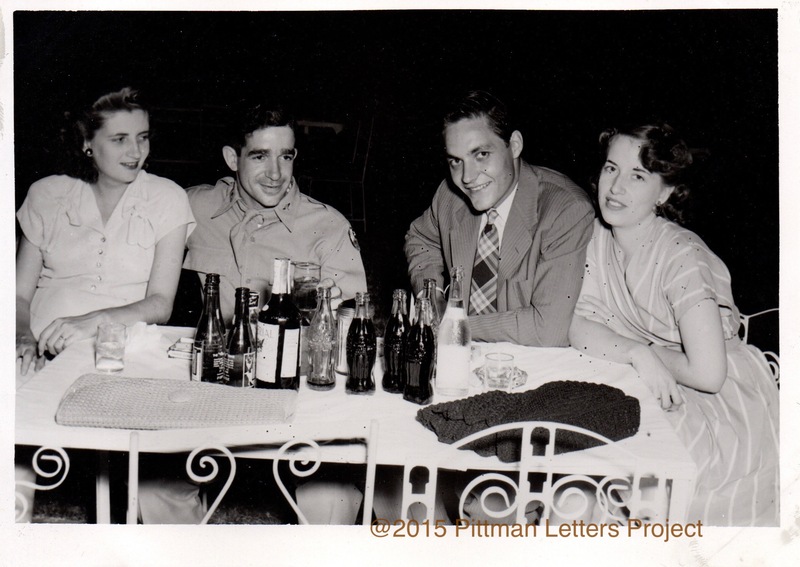 During their stay, I have evidence that they tried to enjoy postwar life. There are three photos in souvenir folders, at least one of them taken by Truesdell Night Club Photography. It is the only dated photo, dated April 13, 1946. The tables and chairs in that photo differ from the other two, which are marked as from Club Sevenoaks. There are only seven letters in July 1945, but they begin with the long waited for news of Walt’s promotion to Captain. He gets a chance to visit the front line with the infantry, but by the end of the month, his squadron is headed out for another location, where he expects to be pretty busy. 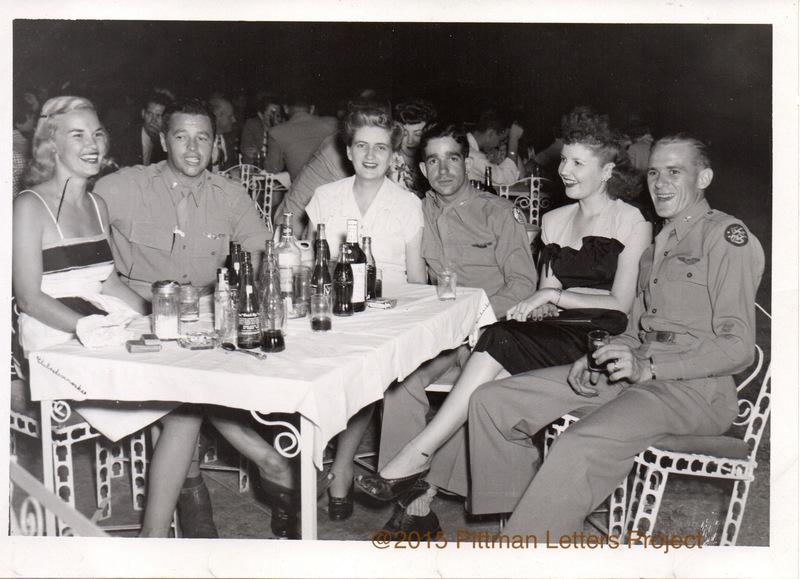 The few letters of June 1945 have been transcribed, with recurring themes: restlessness, waiting for a promotion to captain, the desire to come home coupled with concern about how to make a living, and the rainy season.